Finally I have finished a new and even bigger list of (mostly English) blogging platforms that work in China. More than 50 sites, where you can set up a blog (mostly free), were tested if they are blocked by the Great Firewall of China. Please note, that there is a possibility that any of the sites listed could later become blocked by the great firewall. The Chinese government has full authority to decide if to block or unblock any website they want, whenever they want. The leading monitoring service of the Chinese firewall, -“GreatFire.org” provides up to date information, as well as historical monitoring data of any possible blocks of these blog services. This will give you an idea of stability and a way to monitor the situation (links to data provided below). Unfortunately such online tools for checking if a website is blocked or not, are censored inside China. Although free, these blogging platforms have several downsides besides the possibility of being blocked. Internet connections are notoriously slow in China, because bandwidth out of the country is scarce. Most likely these sites do not have a very good connection to the Chinese mainland and just like the blocking, you never know when the speeds can change dramatically at any time. Even up the point that the website no longer finishes loading. Luckily there is an affordable solution to all this. Finding the right blog host will make sure your site will always work in China, with a fast and stable connection (see below)! For each blog I have tested if the blogs are being indexed in Baidu. In other words, I have checked if you can find the blogs from the most popular Chinese internet search engine (equivalent of Google). Also some other information is provided, such as if there are ads, other inserted text links on the page etc. What happens if your site gets blocked? This host is specialised in serving customers who blog for readers located in the Chinese mainland. If you ever have any problems their amazing support staff are always ready to help you out. Also, if ever your site gets blocked in China, they will unblock it for you! The great firewall of China blocks sites by IP address. With Bluehost you have an option to have your site on a shared or private IP address. For most sites, a shared IP address is fine. If another website on the same IP gets blocked in China, it will be moved to a new IP address. For those, who want more stability you have the option of using a private IP which is not shared with other users. If your site still gets blocked, it’s because the Chinese government is targeting specifically your website. Even if this would happen, support staff will do their best to solve the problem. To open up a “WordPress hosting” account at a discounted price, click here and if you are not satisfied, you can get your money back in thirty days. Note — a lot has changed since I wrote this post! Please, read this post on the most reliable China hosting for blogs in 2019. If you don’t mind the lag & advertising. These free options below are working in China at the moment. Click on “check current status” to see historical data of any possible blockage that may have occurred. Edublogs has blocked Google and other search engines from indexing the free blogs. Not recommended. + Possibly one of the best free WordPress solutions for blogging from China although speeds are not that great. The Rediff blog feature has terminated. No longer stable in China. Partly blocked. Now unblocked in China (previously blocked), future unreliable. Roon has ended it’s blogging service. Their service has been unavailable for a long time. No longer stable in China. Partly blocked but can work! Postach.io turned from free to rediculously expensive. If you want an inexpensive option to host WordPress blog without worries of being blocked, see this option here. Blogging platform was closed on December 2015. Constant server outages, slow or just doesn’t work. Not recommended. The Jux project has been discontinued. They have started asking to fill out a CAPTCHA that is blocked in China, for some people who simply enter your website. No longer reliable. While weebly.com itself is not blocked, the website connects to so many different domains and servers around the world, that even blocking advertising, analytics and social media the user experience is horrible. IM Creator is now possibly blocked in China. No longer works at all. Currently 100% blocked in China, future unknown. Hosting services are now unblocked, however they have been previously blocked so it is uncertain how reliable hosting with then in China is. As you can see, the Chinese government is not blocking all foreign blogs. But it’s not their only way of censoring free speech. For example certain sensitive keywords might trigger temporary blocks on specific blogs. If you found this list useful or have more sites to contribute, please leave a comment in the box below. I will continue to make changes to the list as needed (to be updates). List last checked in April of 2019. Lisa, did you try any of these from China before calling the list “great”? Thank you for your comment. Perhaps I should explain a little further. I’ve just tested all of these from Shanghai and they all open inside the Great Firewall of China. Many overseas servers have a terrible connection to the Chinese mainland. Even up to the point that the website does not load at all. It might be temporary, it might be long term. It’s just the fact of how unstable foreign websites can be from China. From the ones that I just tested, Rediff would simply not load. I tested a couple of hours later and it worked fine. Nowadays so many websites connect to social media networks, ads, analytics and other servers when you load a website. If some of these are blocked, it can make using the website really dreadful. You can block these with the Ghostery browser plugin. Some sites such as below mentioned Weebly, is hosting different parts of the website on various servers. In this case if some of these servers are blocked, the website will be unusable without circumvention methods. Solution: (1) Just accept the situation and live with it. (2) Use China friendly web hosting to host your own blog (3) Use a Chinese based blogging service (which in return can be slow for those located outside of China). Please note: I have never claimed that these blogging websites are usable. I’m simply giving out statistics of which websites are blocked or unblocked. Thank you for the comment. I have just tested Weebly.com from Shanghai and while the domain itself is not blocked, it does indeed seem quite unusable. First of all, Ghostery browser add-on is showing that it’s connecting to 14 different servers of which several are blocked (like, doubleclick.com, ajax.googleapis.com, facebook.com, etc.). But even if you prevent the connection to these domains, their infrastructure is dependent on so many outside servers, of which some seem to be blocked as well. I haven’t checked for new blogging platforms, but usually those “clean” and “good looking” ones come free and convert to paid later. So this is already pretty good coverage in my opinion. Altervista is clean and WordPress based, but one problem as with many others is that they connect to a lot of social media platforms like Facebook, Twitter which further slows down page loads in China if they are not blocked with software. No perfect solution really seems to exist. Please let us know if you find anything and thanks for your comment! I am in China, I have tried almost all these websites, only the first bluehost wordpress is unblocked. I would like to try if there is any other site. However, thanks for doing this. Thanks for the comment. 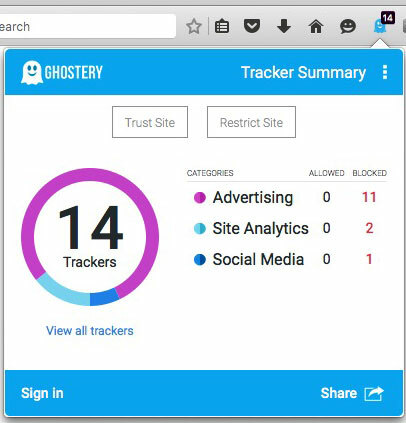 Please try to install Ghostery browser extension first and block all the social media (Twitter, Facebook, etc..) and other sites that these websites are trying to connect you with. Many of them could be blocked sites and prevent the page from loading, even though the actual website is not blocked. Does that help? How one can check if its website is blocked in china or not? The “GreatFire Analyzer” is the best tool available. Just enter the website URL under “TEST URL” and wait for a couple of minutes. It shows that your website is not blocked in China. However, often websites connect to third party websites which can be tested as well for more reliability. If blocked third party servers exist, they will just slow down the website for mainland China users. Unless they are needed for site functionality, which would make it unusable. Or the most reliable way is to get a Chinese IP with VPN and test it out for yourself. So, my wordpress website works in China, but takes 40-some seconds to load in Beijing. If I switch over to bluehost, would this solve the issue? Please shoot me an email, I really need help. If your current WP site is located on a server that has a poor connection to the mainland, changing to Bluehost should speed up things. Or the other possibility is that your site is connecting to a lot of blocked websites that slow down page load. You can test it out by running Ghostery or something similar that blocks these connections when loading the page – see if it improves page load. Great list, thanks for doing this, good sir! Thanks Kevin. Should do a refresh. Which blog did you end up using? A big thanks for maintaining this list of Chinese blogs! To make a blog on “altervista.org” is no work because they use a captcha from google to confirm identity.